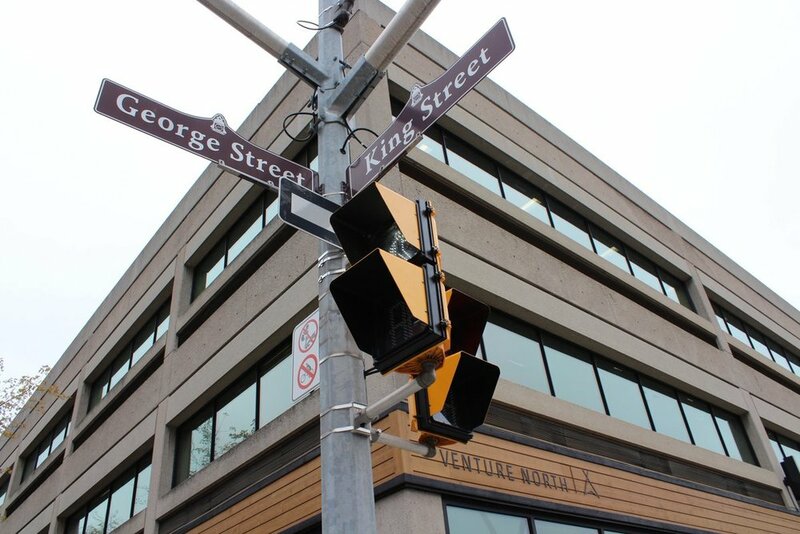 Since opening in 2016, VentureNorth (270 George St. N.) has emerged as one of the most important buildings—”spaces” is perhaps a better word to describe it—in Peterborough, standing tall in the heart of downtown and symbolizing the city’s path as an innovative, entrepreneurial destination to encourage startups and existing businesses to grow and thrive. Housing the likes of Innovation Cluster, Peterborough Economic Development, JA Peterborough, Community Futures Eastern Ontario, Peterborough & The Kawarthas Tourism and now Community Futures Peterborough, the VentureNorth hub has become a gateway to growth and networking for multiple startups and entrepreneurs, and those visiting or considering relocating to Peterborough. Not to mention it’s just a stone’s throw away from the business-growth, community-minded DBIA and Peterborough Chamber offices. The hub—which overlooks both the downtown and Otonabee River—took inspiration from similar successful models in Waterloo (Communitech), Toronto (DMZ) and Oshawa (Spark). But it has now forged a unique identify itself, fuelling an ecosystem of local leaders and innovators with its own “all-inclusive” ethos of offerings and organizations—a concierge service, if you will, to experts with a wide range of subject experise in various areas with a want to help you succeed. ”When the concept of VentureNorth was first envisioned, the goal was to bring all these great organizations together to help entrepreneurs and showcase the competitive advantage that we believe Peterborough has—the people and the place,” Bennett tells PTBOCanada. “We have an overwhelming supportive community and a way of life that is truly second to none. Once people are able to experience living and working in this great community, the roots get planted very quickly. Indeed, collaboration has been a key ingredient in building momentum in Peterborough for forward thinkers and progress. Breaking down silos (something that can prevent you from thinking outside the box, excecuting on ideas, and just getting stuff done) has shed the barriers to growth, innovation and beta testing. Growth can be accelerated here as Peterborough—with all the amenities of a big city but a small town feel—is primed to become an entrepreneurial region. It has great support partners at the hub and beyond, and Trent University and Fleming College are absolutely key ingredients and partners in training students and talent, many of which will stay here (retention is key) and become entrepreneurs and leaders. 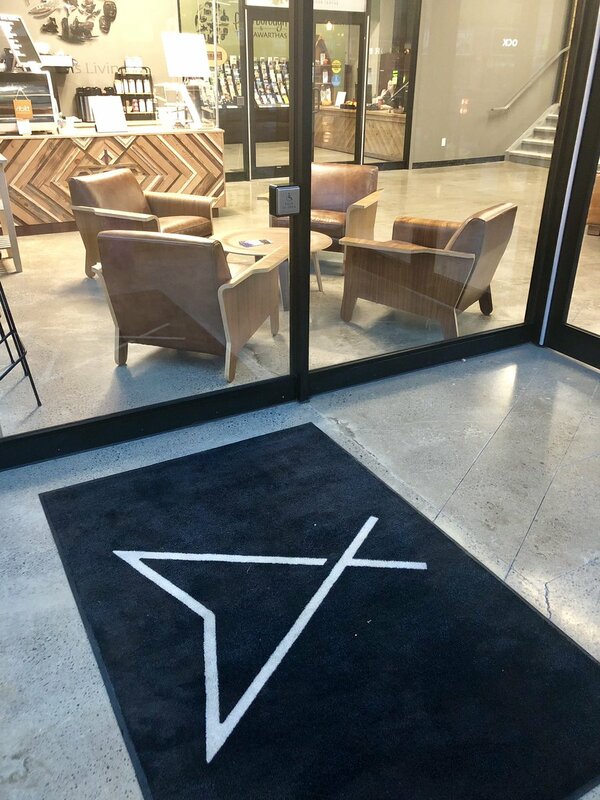 The concept of VentureNorth from the get-go was to create an ecosystem where entrepreneurs and business people can connect and work alongside each other in open concept spaces to drive success and thrive. Startups and organizations can grow and succeed when they work side-by-side—learn from each other, motivate each other, push each other. In response to this, the VentureNorth founders have begun planning a second phase to their vision for the building (see renderings above and below), which would bring much needed expanded space along with further aesthetic exterior and interior upgrades to a hub that has a contemporary design and feel. These are exciting times for VentureNorth, which is helping put Peterborough on the map right up there with other Canadian cities like Waterloo that have fully embraced the innovation and tech economy. They are willing to play the long game to execute on their vision for building our innovation economy. To further engage the community about VentureNorth and its promising future, there will be an Open House and Christmas Party on December 4th that the public is welcome to attend, where they can check out the building and see some of the exciting new businesses showcased in the Innovation Cluster showcase. More details will be coming on that soon.